Turkish troops and Syrian opposition forces attacked a Kurdish enclave in northern Syria on Sunday in their bid to drive a U.S.-allied Kurdish militia from the region. The group controls Afrin, in Syria‘s northwestern corner, as well as a swath of territory along Turkey’s border. The YPG also forms the backbone of the Syrian Democratic Forces, the main U.S. ally against the Islamic State group in Syria. Earlier Sunday, four rockets fired from Syria hit the Turkish border town of Kilis, prompting Turkish artillery to return fire, Gov. Mehmet Tekinarslan said. The rockets hit two offices and an office building, and slightly wounded one person. 700 000 civilians remain in Afrin the so called 30km ‘secure zone’…. Turkey’s offensive represents yet another frontline in the already hard-hitting Syria. This weekend, a total of 18 civilians were killed, according to the British-based Syrian Human Rights Observatory (SOHR). Kurdish rebels that are fighting against the Turkish military in southeastern Turkey, are affiliated with the YPG that Erdogan considers as a terror organization and a security threat. Without the Syrian Kurds, the terrorist group IS probably still controlled Northern Syria. But now, Turkish airattack and artillery attack the Kurds in northwestern Syria, the same group who drove away the dreaded terrorists. Turkey President Recep Tayyip Erdogan instead calls the Kurdish militias YPG, the target of the massive invasion, for terrorists. 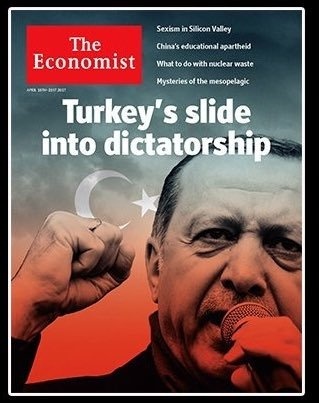 Erdog’s invasion is made with a glimpse of the forthcoming presidential election in Turkey. 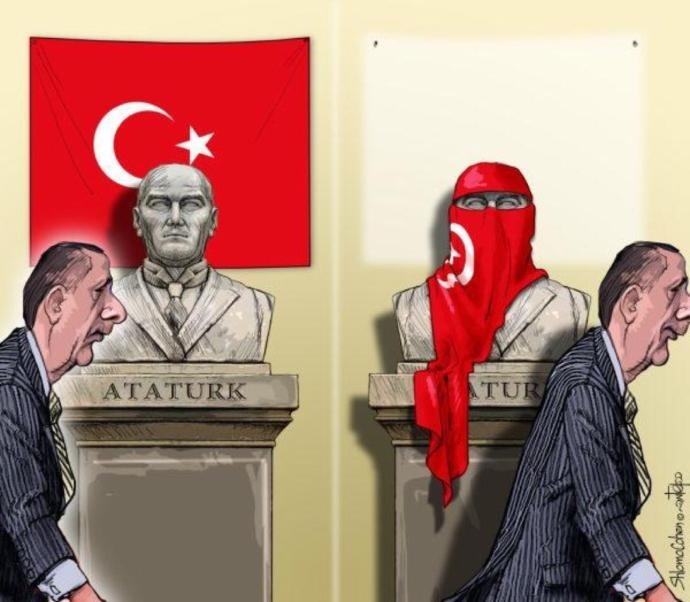 He hopes that the invasion will be a voice winner in Turkish opinion. 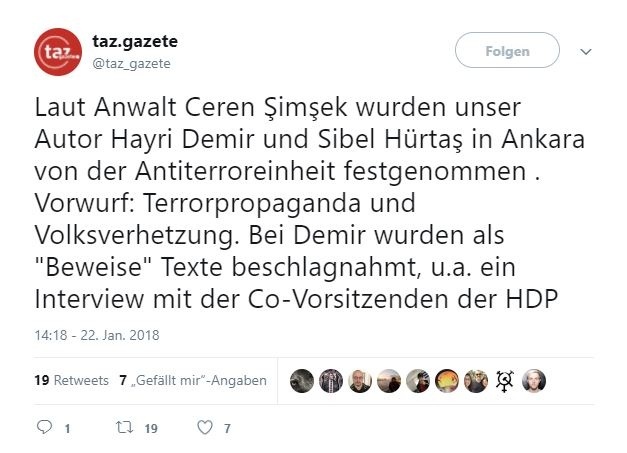 YPG denies any military cooperation with the PKK in Turkey. 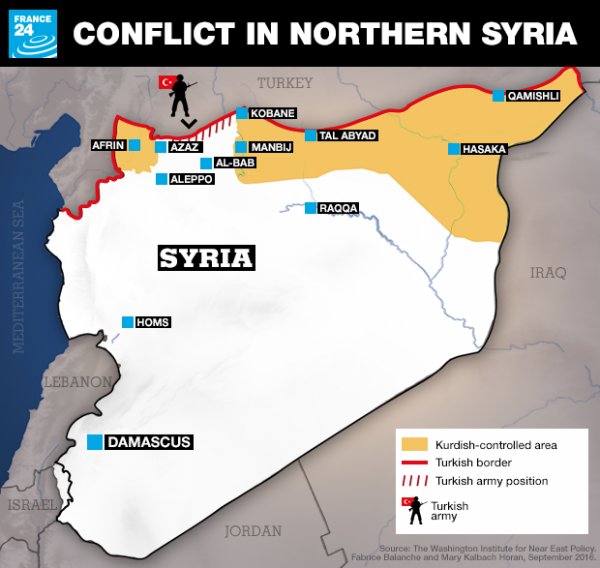 But although the leadership of the two Kurdish armed groups is largely the same, it is unclear whether YPG’s control of northern Syria really represents a threat to Turkey. What is clear, however, is that Turkey’s invasion of northern Syria hardly facilitates the unsuccessful efforts to launch genuine peace talks between the parties so far. But instead of a long-awaited end of a seven-year war with hundreds of thousands of dead and twelve million refugees, the war now appears to be entering a new and unpredictable phase without a clear end. As a result of the Turkish military offensive in Syria, Kurdish-Turkish conflict reaches Germany.